Dr. Paul Quinnett graduated from Washington State University in 1970 in clinical psychology and is currently the President and CEO of the QPR Institute, an educational organization dedicated to preventing suicide. Author of seven books and an award-winning journalist, he is also Clinical Assistant Professor in the Department of Psychiatry and Behavioral Science at the University of Washington School of Medicine in Seattle, Washington. In addition to directing a large, public sector mental health program for adults and elders for 30 years, and serving as director of an American Psychological Association-approved internship in clinical psychology, he maintained a limited private practice in psychotherapy, law enforcement, and corporate consulting. 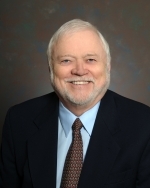 Together with a multidisciplinary team of clinicians and researchers, he founded the QPR Institute in 1999 to help prevent suicide through “excellence in education.” Building on decades of clinical experience with suicidal patients, Dr. Quinnett and his colleagues developed both a public health gatekeeper training program and training and assessment protocols for clinicians. Similar to the brief intervention model of CPR, the QPR Gatekeeper Training for Suicide Prevention program has been taught to more than one million people worldwide and is available in several languages. The Institute’s training programs, assessment methodologies, and award-winning documentation systems have evolved into a comprehensive systems approach to sustainable suicide risk reduction practices in a variety of organizations, including hospitals, clinics, military commands, public health organizations and schools. More than 250 colleges and universities currently employ QPR programs. A self-sustaining organization, the Institute collaborates with university based researchers on a wide spectrum of suicide prevention investigations. Dr. Quinnett has published the book, “Suicide: The Forever Decision” in which he discussed various aspects of suicidal behavior and how to get help. Dr. Quinnett enjoys a second career as an avid fly fisherman, travel writer, essayist, public speaker and author of such classic fishing books as Pavlov’s Trout and Darwin’s Bass. As a Darwinian, he enjoys contemporary evolutionary psychology and how it may be applied to suicide prevention strategies.